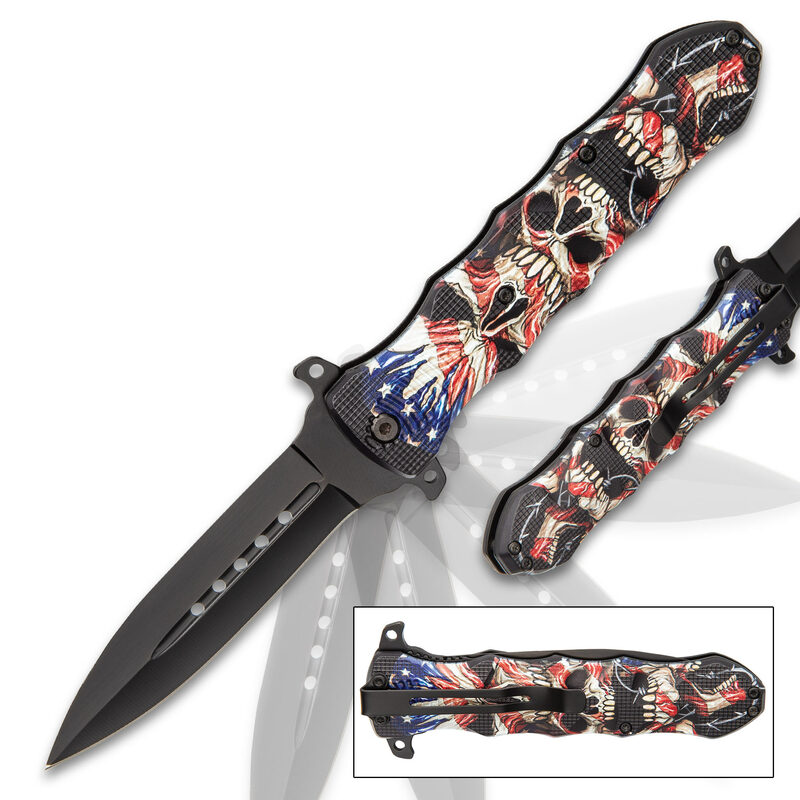 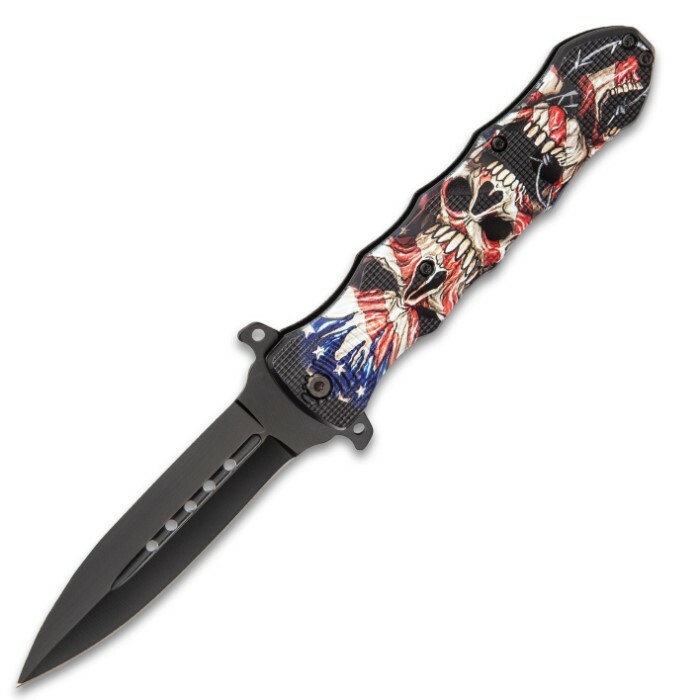 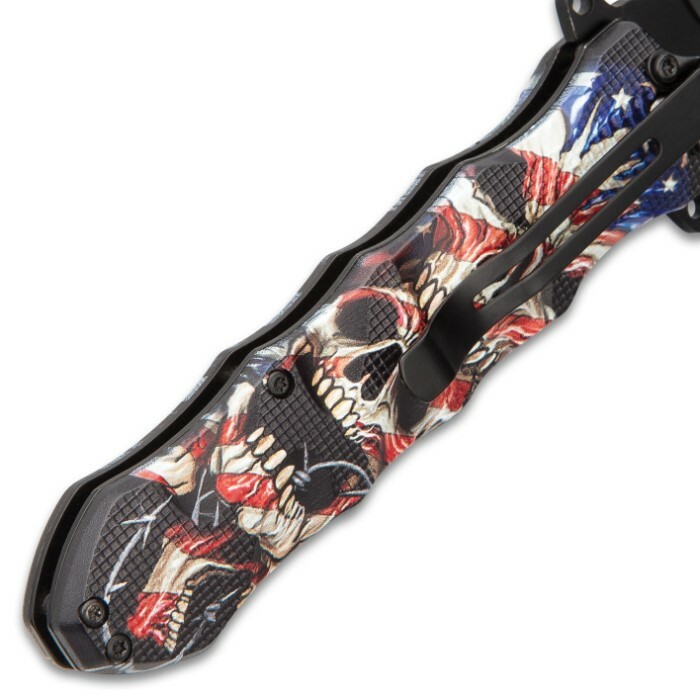 Our visually striking, patriotic Liberty’s Price Assisted Opening Stiletto Knife is a reminder that “Freedom is never free!” It has a sharp 4” stainless steel blade with a non-reflective finish and thru-holes and it can be deployed quickly with the flippers. 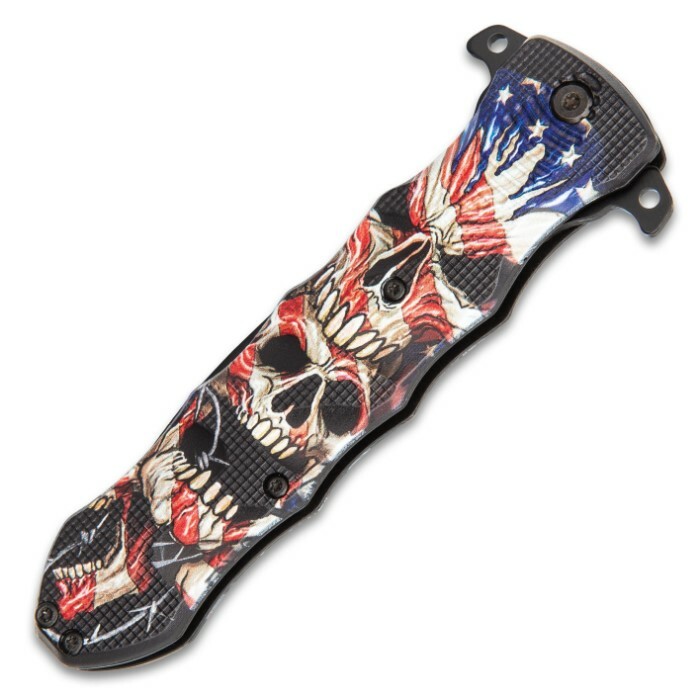 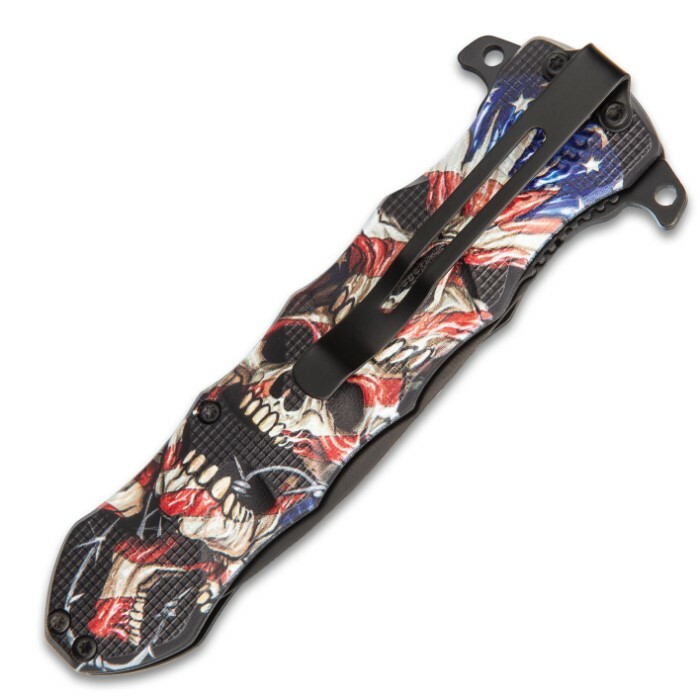 The textured TPU handle has red, white and blue skull-themed artwork on both sides and it features a pocket clip. 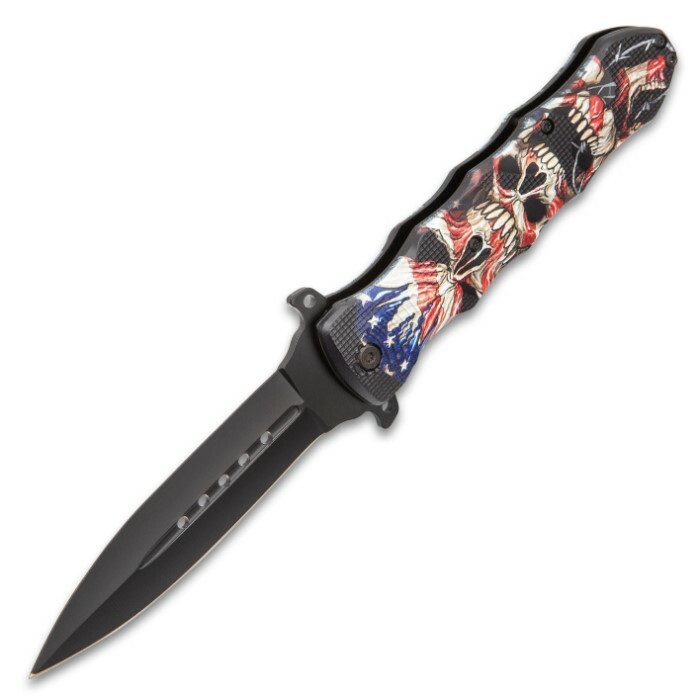 The assisted opening stiletto knife is 5” when closed and makes a great everyday carry.